In this post I will share some tips / tricks and scripts, which I used to create an unattended ESX4 installation. 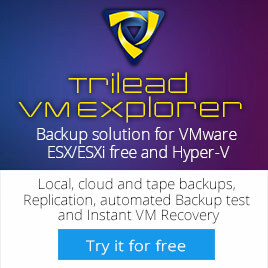 One of the important lessons I have learned with creating a ks.cfg file for vSphere is how to use proper escaping. echo "Making sure the script runs only once"
The rest of this post, I will show you some tips about configuring Syslog, iSCSI, User creation, Change service console memory, Install Dell Open Manage agent, Set the host into maintenance mode. Before you start the post script, you have to wait until the hostd-vmdb service is ready. This is necessary if you want to use the /usr/bin/vmware-vim-cmd command. With the following while loop, you can check the status of the hostd-vmdb service. When the service is ready, the script continues to configure your ESX server. The next tips is about the configuration of iSCSI. The following script part will add a new vSwitch1 called iSCSI and set the IP settings. /usr/sbin/esxcfg-vmknic -a -i 172.1.1.202 -n 255.255.255.0 "iSCSI"
The next step is to enable the iSCSI initiator and add a rule to the Firewall. After the 10 seconds sleep, the correct VMHBA will be selected for the rest of the steps. The VMHBA is saved in a variable which will be used to set the CHAP password, add the iSCSI Send Targets and perform a VMHBA rescan. The rest of the vSwitches / Portgroups are left out of this post. an existing ESX Server to generate a MD5 encrypted password. This little trick can be used to generate the root password for ESX and to generate passwords for other users. 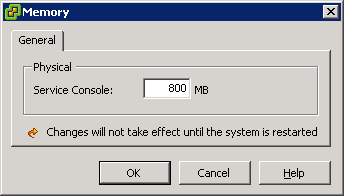 To change the Service Console memory to 800MB, you can use the following commands. These settings are applied after a reboot. The script below is a based on a script by Scot Hanson (aka @DellServerGeek) which you can find here. This script will download the OM agent from an internal Webserver and opens the firewall for the Open Manage agent. When the installation is ready, the ESX host will enter maintenance mode before it restarts to finalize the installation. 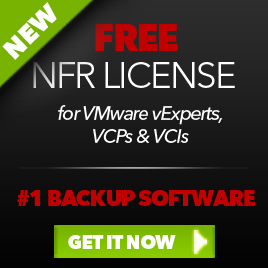 It can cost you a lot of time to create a ks.cfg to match your vSphere environment. But when it’s ready, it will save you a lot of time deploying new hosts or redeploy other hosts. This entry was posted in VMware and tagged ESX 4.0, ks.cfg, Unattended installation, vSphere on March 23, 2010 by afokkema. Filed aways for a rainy day and I can give this a try. Looks like good work. Maybe you can add a downloadable full install script! Anyway great stuff again Arne! Some good tip there, thanks. Now everything until the EOF1 is treated as text. And the installer won't try execute them litteraly.